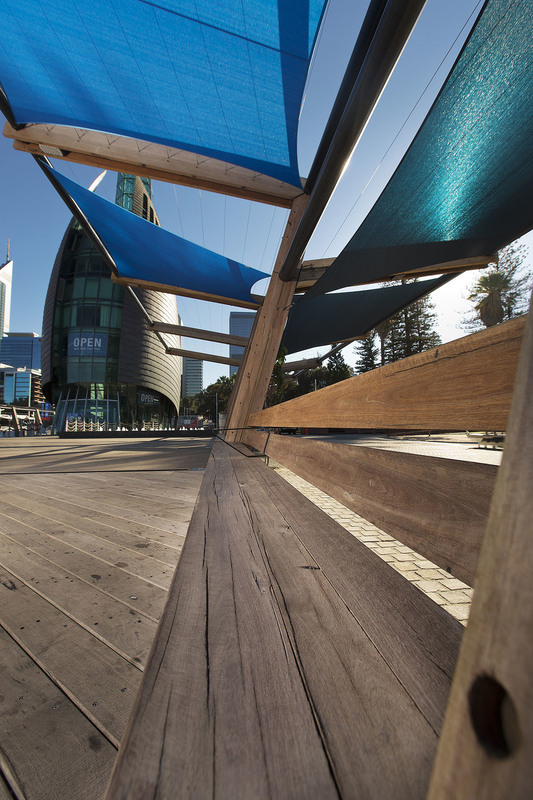 This Iconic Perth landmark required special consideration when it came time to selecting the timbers required to meet the exacting standards demanded of a project of this calibre. 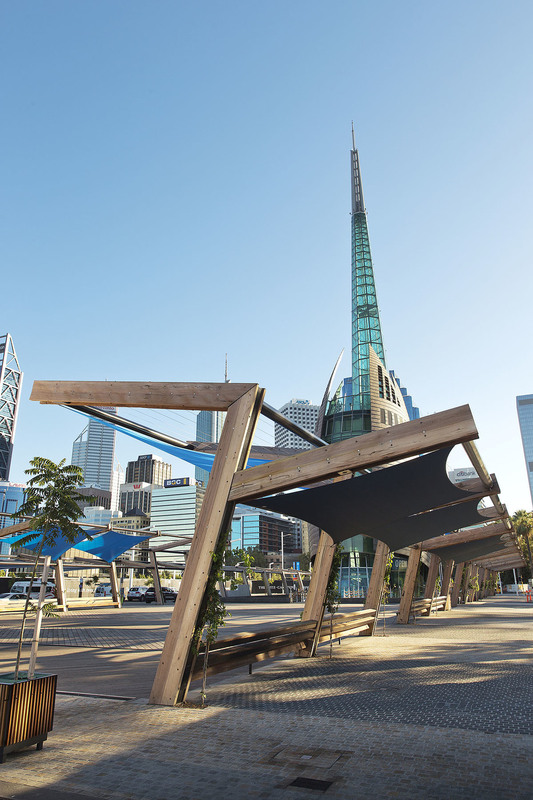 Through a collaborative consulting process between Leighton Contractors and Austim, a blend of Recycled Spotted Gum and Ironbark timbers were selected to maximise the performance requirements as well as satisfying the aesthetic values the Architects were seeking. The use of recycled timber also allowed for the demanding environmental credentials required for this project to be met. 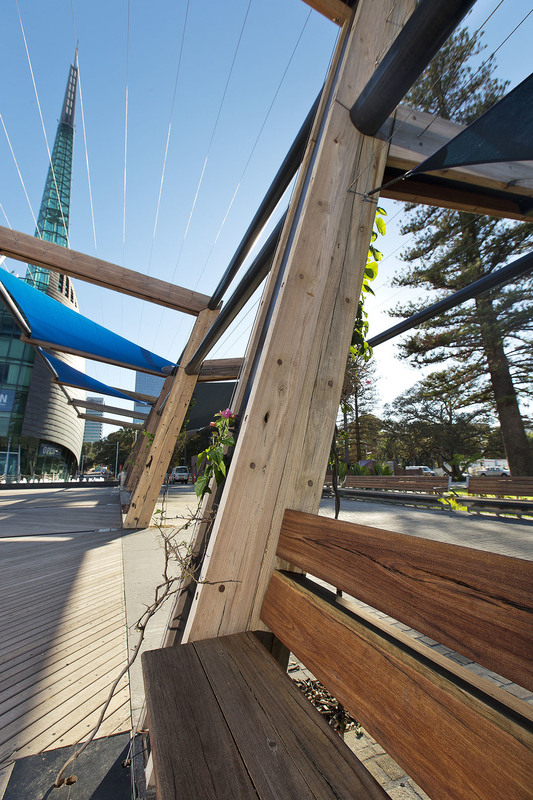 The open deck area is delineated by stylised tree lined boulevards on each side creating a relaxing and inviting area. 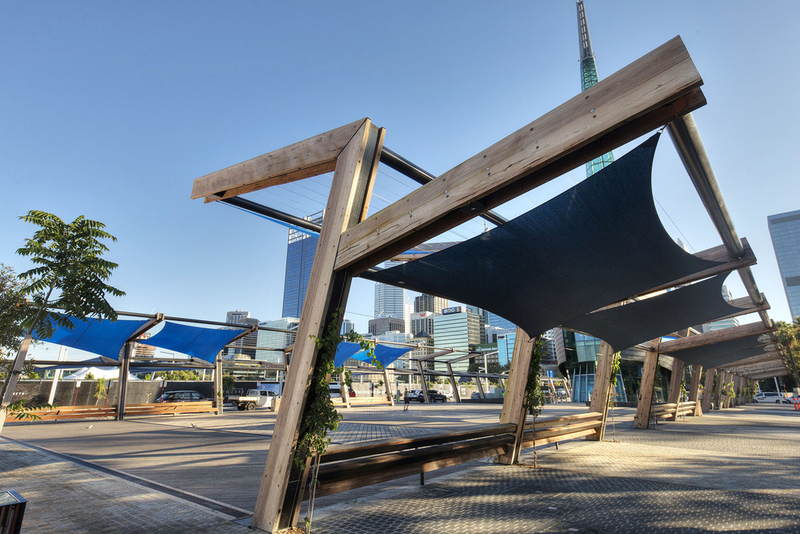 The results achieved are an outstanding example of combining modern technology with the beauty of natural timber in order to create harmony and serenity in a public open space.